Remember my previous post about Emily that got married in Barcelona with a more romantic hair & make-up styling? This time, it is about Hilde and how I prepared her to get an elegant and more classical bridal look at her wedding in La Canilla just outside of Barcelona. Hilde and her husband Vidar come from Norway and they had chosen to get married in Barcelona since both think Barcelona it’s a fantastic city and because Hilde had lived in Barcelona for a few months while she was studying. 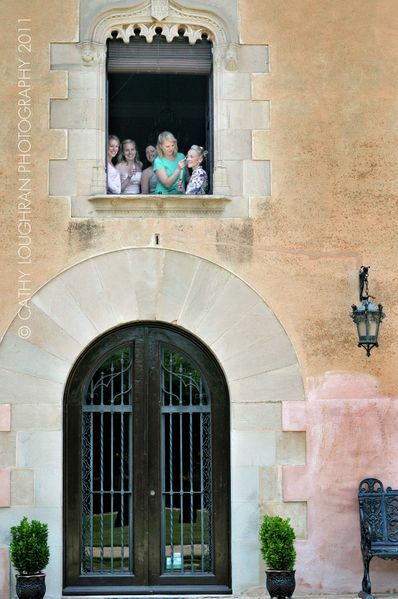 I got in touch with Hilde through Clare from Barcelona Wedding who had recommended Absolutely Gorgeous BCN. 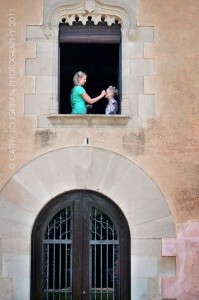 So I met up with Hilde to do the hair and make-up trial for her wedding at hotel La Florida where they were staying. 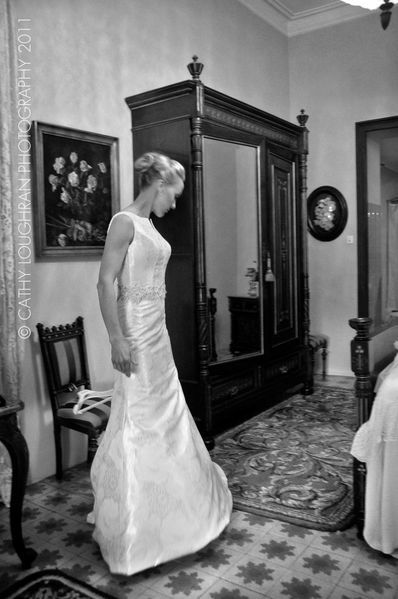 In order to understand the style Hilde wanted to have for her wedding hair and make-up, she showed me her dress. It was very beautiful and elegant wedding dress and she was also going to where a veil with it. We both agreed that a more elegant hairstyle with all the hair pulled back would suit best to the style of the dress as well. As for the make up Hilde wanted something natural and fresh looking. For the day of the wedding I was doing Hilde’s hair and make-up and also the hair and the make-up for the three bridesmaids. I started with them all in Hilde’s wedding suite at hotel La Florida which had an amazing view all over Barcelona. Hilde had typical nordic hairtype blond and fine but quite long. First, I put it on heated rollers to get extra volume and to make it easier to work with it. And while she had the rollers in her hair I started with the bridesmaids hair. I first curled the hair with the GHD straightening iron on all of them. With two of them we simply pulled the hair back from the sides away from the face on the third girl who had very natural curly hair it suited best to pull everything back as I knew that it was going to be a very humid day and especially at the wedding venue. There I did the final touches and finished Hilde’s hair and did all the make-ups as well for Hilde and the bridesmaids. Everyone was really happy and I was very pleased with the result as well! 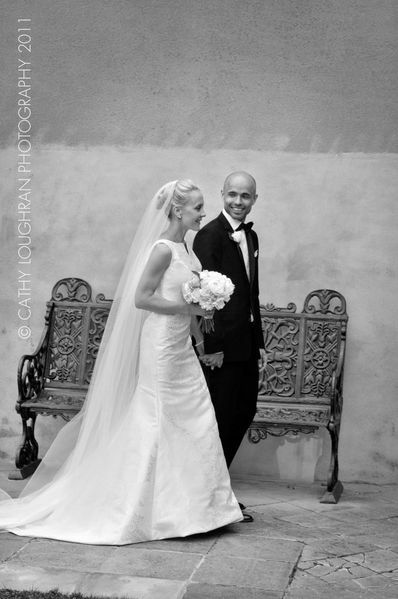 To see more photos from Hilde’s wedding by photgrapher Cathy Loughran, click here!